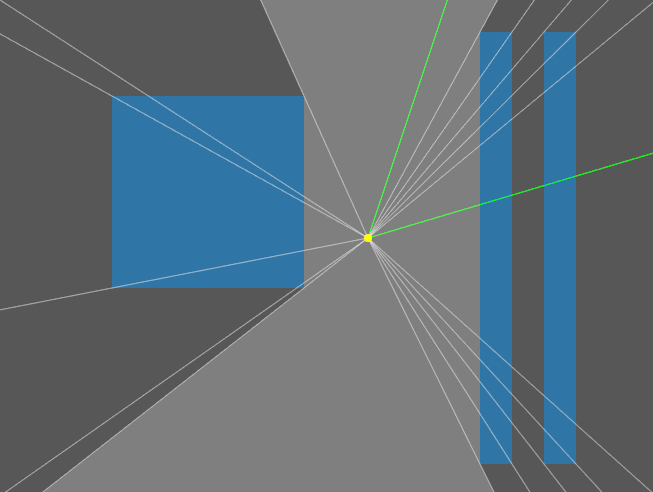 I am trying to implement a FOV for my light casting algorithm. In the diagram below each white line represents a ray cast from a std::vector<float> of normalized radians. How can I only include angles which lie between the two green lines? (The FOV min and max). I found this which works pretty well. Not the answer you're looking for? Browse other questions tagged c++ mathematics lighting or ask your own question. Interpolation between two 3D points? How can I simplify this code to compute the shortest rotation between two angles?